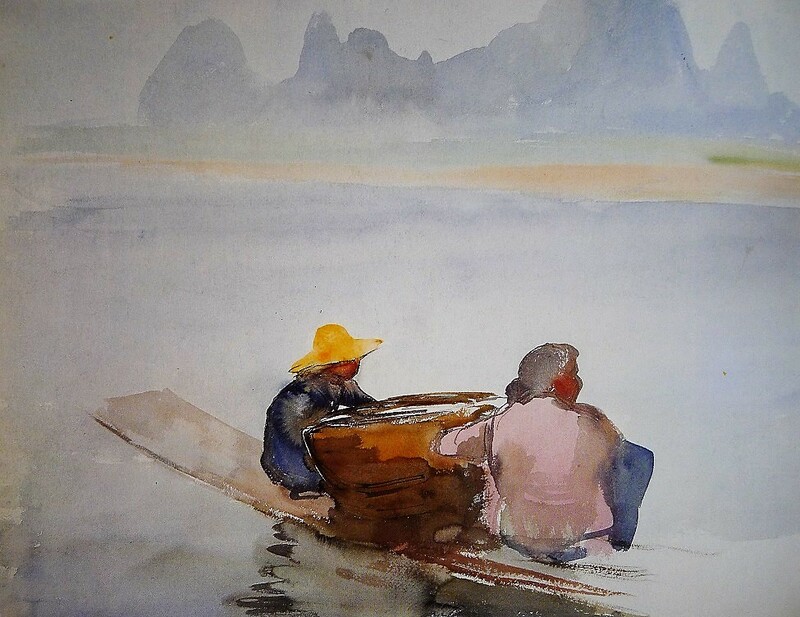 Luciano Guarnieri, Cina: Disengi e acquerelli, Nardini Editore, 1989. 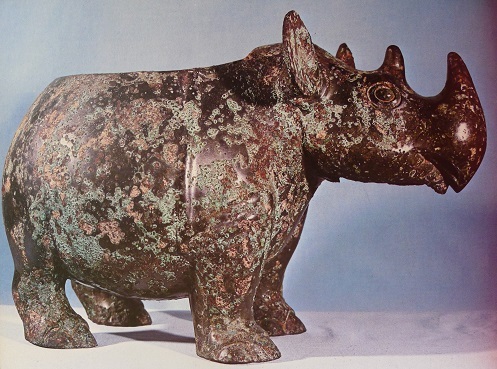 Ceremonial vessel tsun, in the shape of a rhinoceros, bronze, Late Shang - Early Zhou. The Avery Brundage Collection. 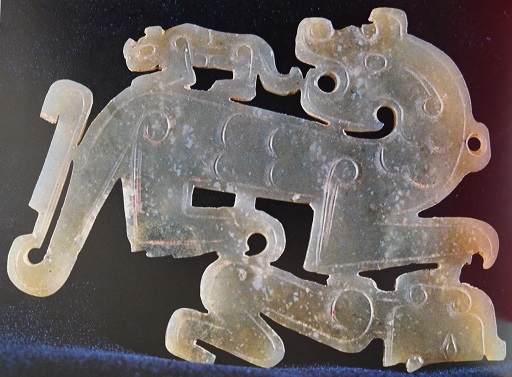 Pendant, tiger and a cub over a kneeling human figure, jade, Middle Zhou. Seattle Art Museum. 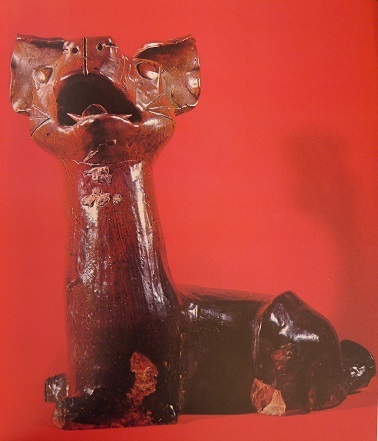 ﻿Vessel tsun, in the shape of a high crest bird with long tail, bronze, Early Zhou. The Avery Brundage Collection. Warrior, clay, 3rd century, The Avery Brundage Collection. Watchdog, ch'ang-sha style, clay, glazed, Han. The Avery Brundage Collection. 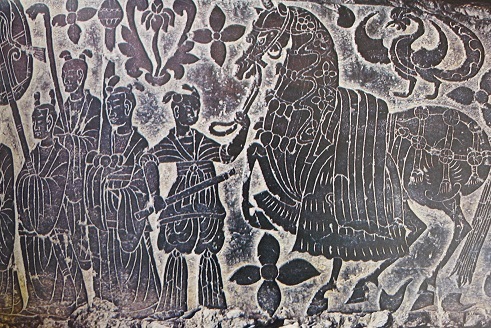 Male donor with attendants and horse (part. 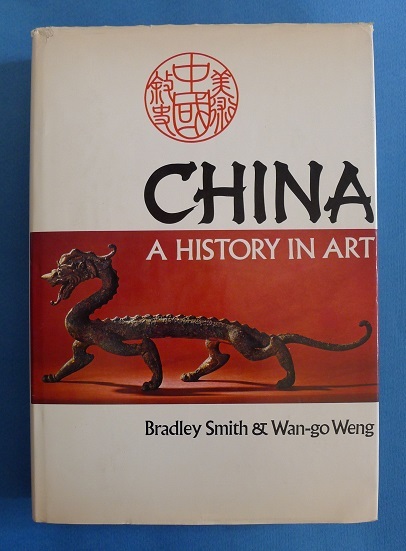 ), stone, North Wei, 525. University Museum, Philadelphia. Two camels, clay, glazed, Tang. University Museum, Philadelphia. 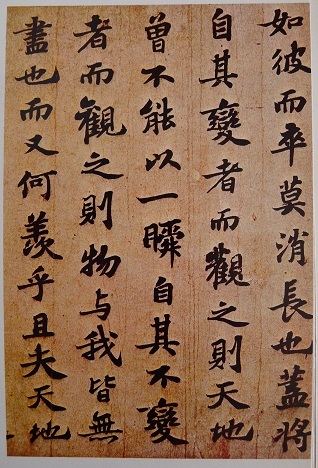 Calligraphy, ink on paper, by Wang Hsi-chih (321-379), probably 7th century copy. National Palace Museum, Taipei. Literary Gathering (part. 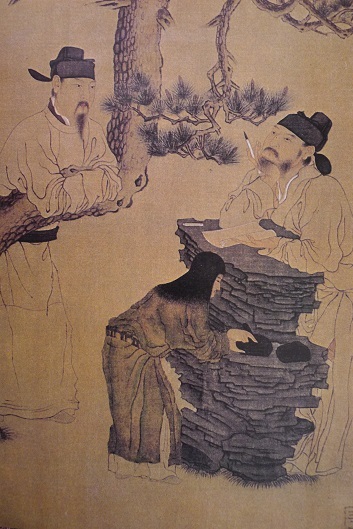 ), ink and color on silk, by Han Huang, 8th century. The Palace Museum. 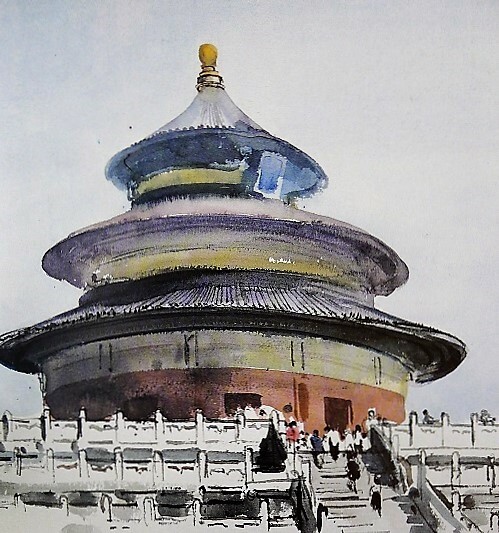 Peking. 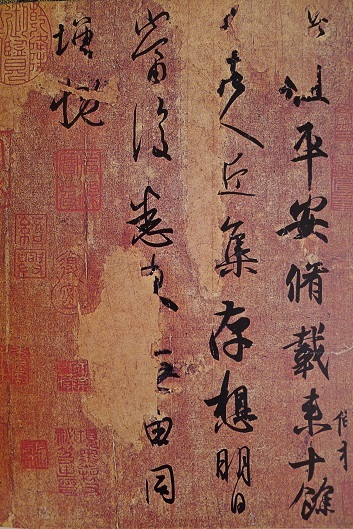 The Red Cliff (section), ink on on paper, by Shu Shih, 1083. National Palace Museum, Taipei. 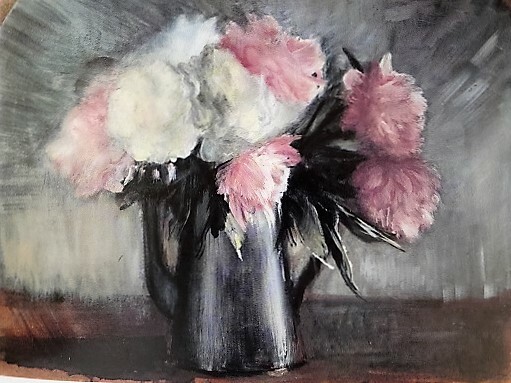 Pillow, a child lying on his back, porcelain, Sung. The Avery Brundage Collection. 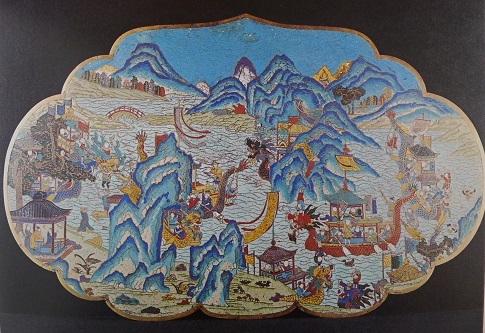 Dragon boats, design on box cover, cloisonné, 18th century. The Avery Brundage Collection. 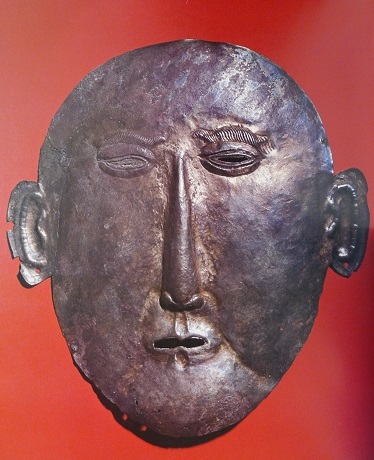 Death mask, silver, Liao, 907-1125. University Museum, Philadelphia. Chun-yao vase, porcelain, Sung. National Palace Museum, Taipei. 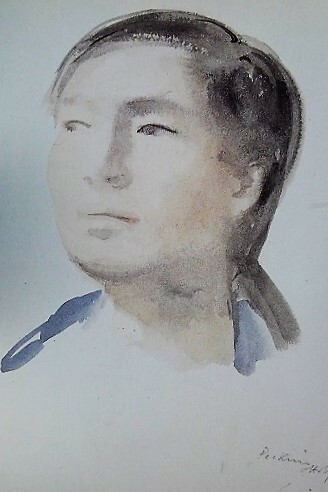 Cartoon, ink on paper, by Feng Tzu-k'ai.